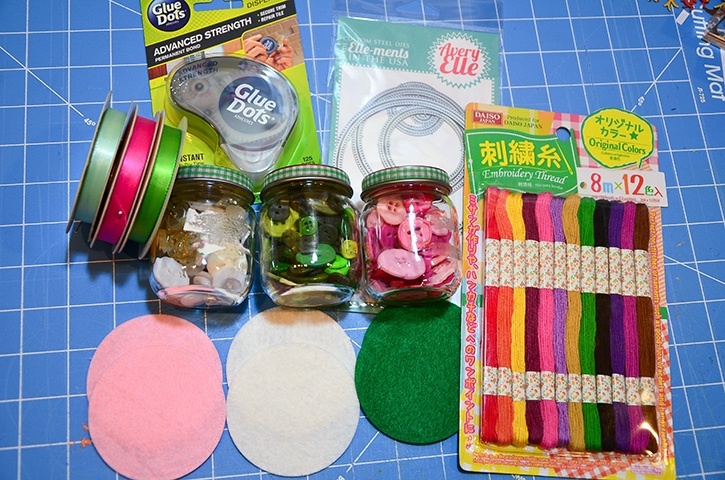 My favorite part of holiday crafting is going through my existing stash and making some festive out of it. 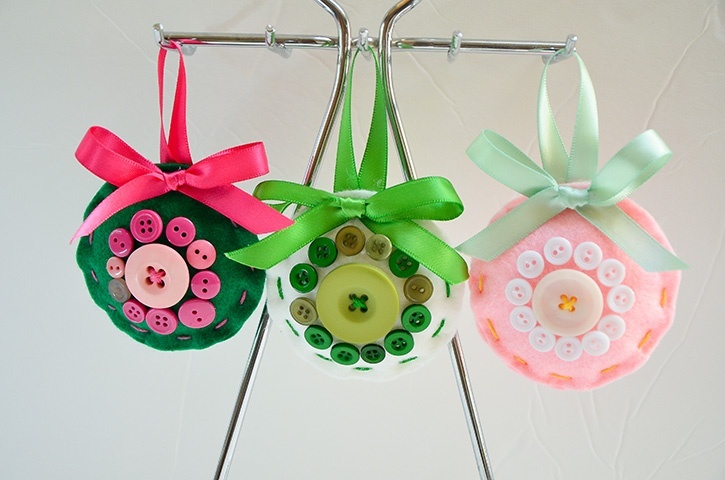 With this project, I combined some scrap felt, buttons and ribbon from my stash to create some cute Christmas tree ornaments. 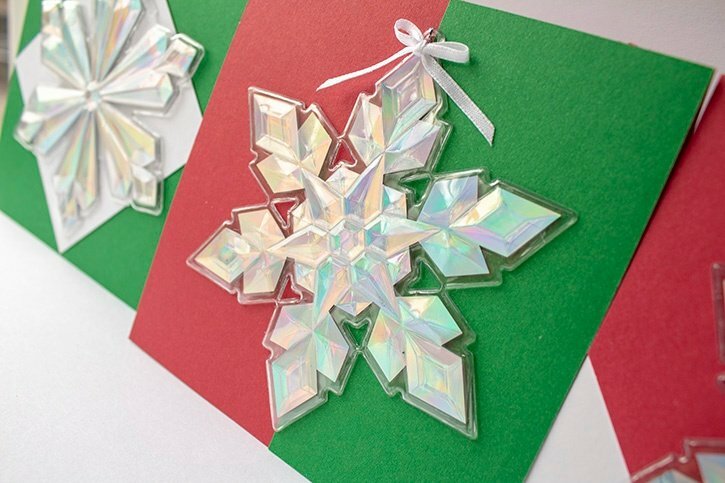 Size: 4 ¼ x 2 ¾ x 1"
Create the base of the ornament with the double pierced steel die cut. 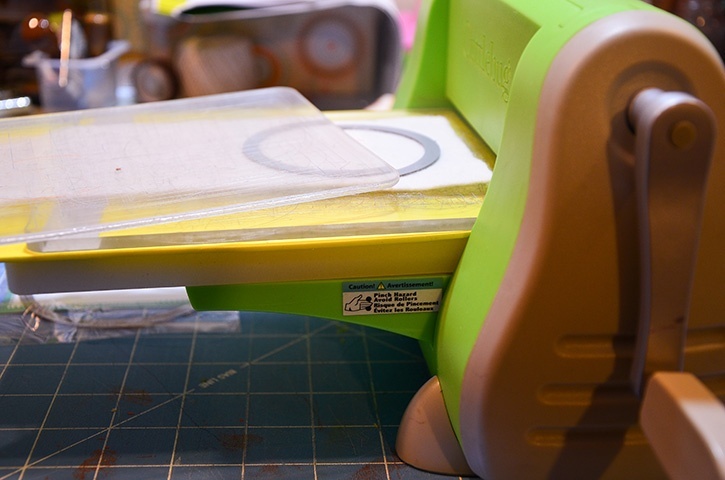 *I used a fun foam sheet to add another layer between my die cut plates to get a clear cut into the felt fabric. 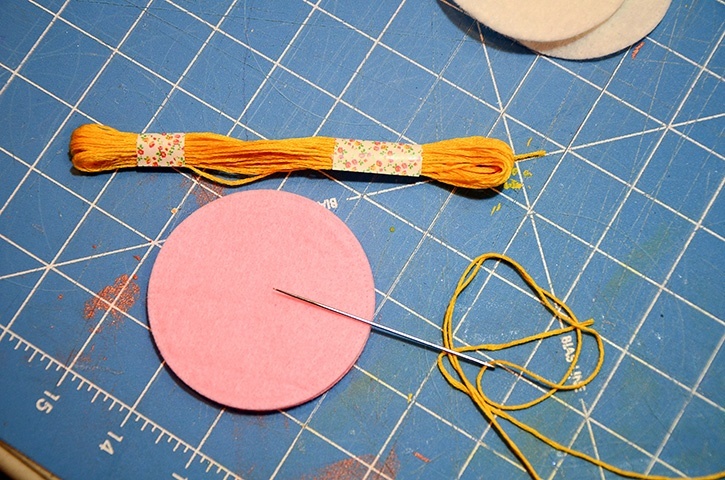 Create two circles from each color of felt. Thread coordinating embroidery floss through a needle and make running stitches around the circles, leaving a 1" opening to fill with foam. Fill the circle with just enough foam that it will become a 3 dimensional piece (you don’t want it to be too stiff). 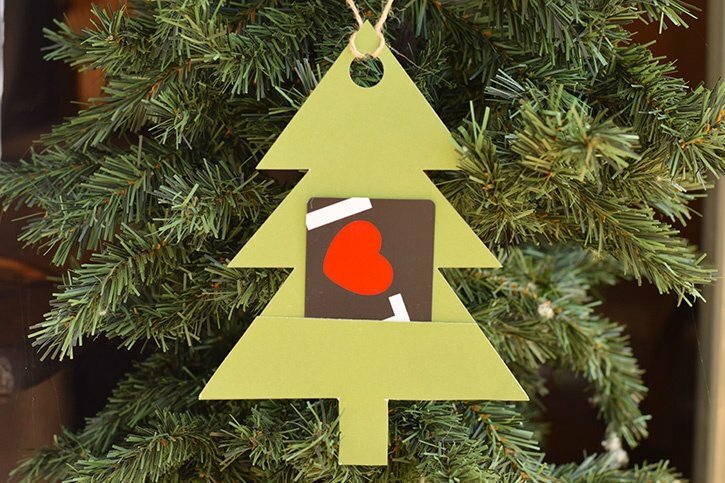 Cut a piece of ribbon that is about 4" in length, fold in half and tuck inside the ornament before closing up the circle with the rest of the stitching. Create a bow with the same color ribbon and adhere to the top of the ornament, just under the looped ribbon using Mini Glue Dots. Create a floral design using the buttons. I chose one large one in the center and then surrounding it with various smaller buttons. 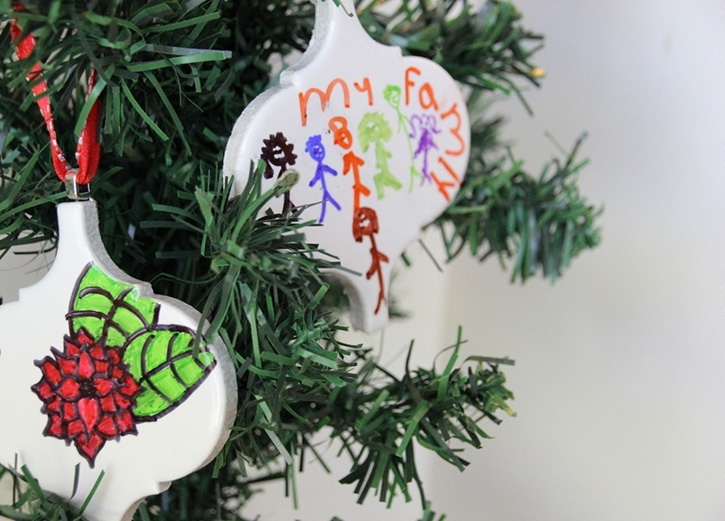 Once the design is set, adhere the largest one onto the center of the ornament with some Glue Dots Advanced Strength adhesive, then put the smaller buttons around the center button with Mini Glue Dots. 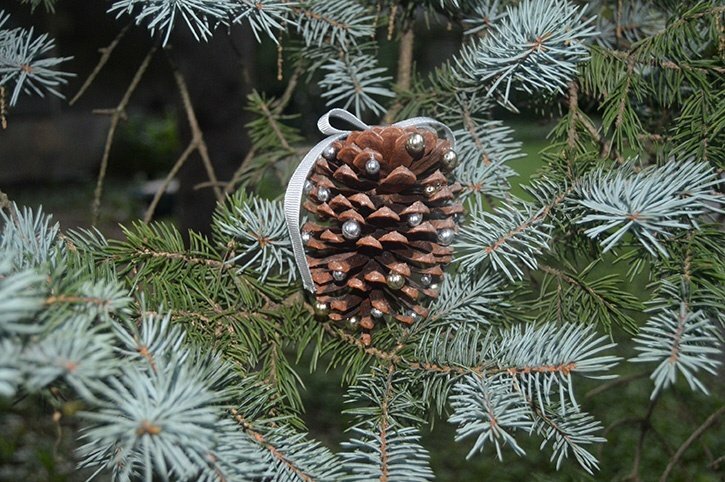 Repeat process to make as many ornaments as you would like.